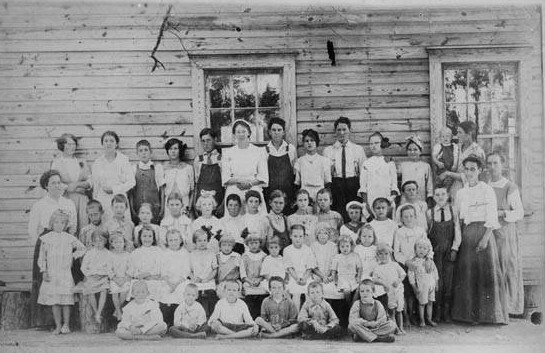 Cohutta School, said to be the second school building built in Cohutta. 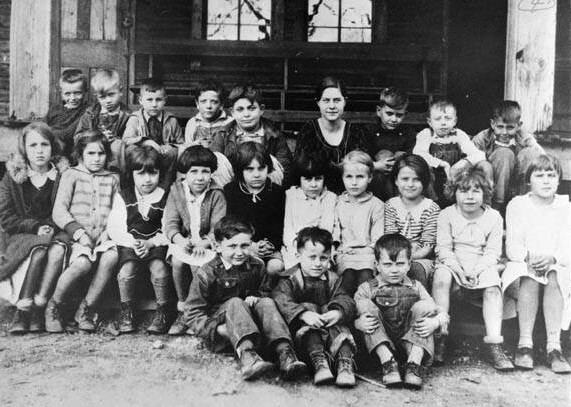 Courtesy of Vanishing Georgia, Georgia Archives, Office of Secretary of State. 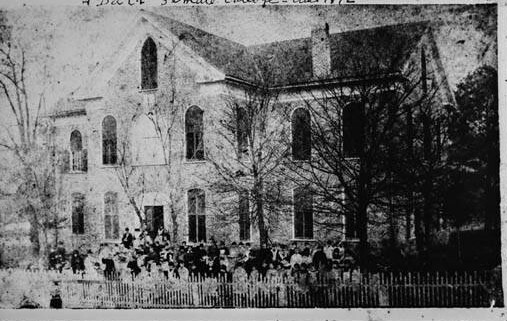 Dalton Female College, Thornton and Waugh, built about 1872. 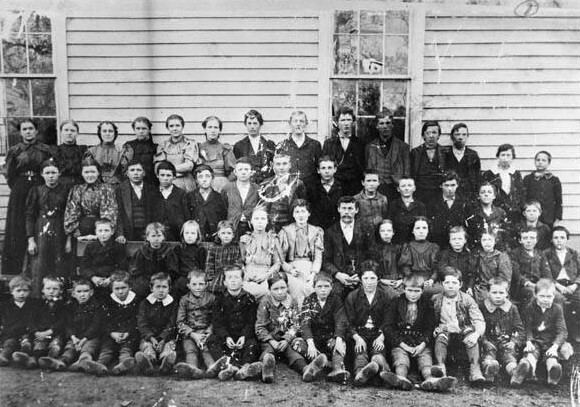 Rocky Face School and students, ca 1895. 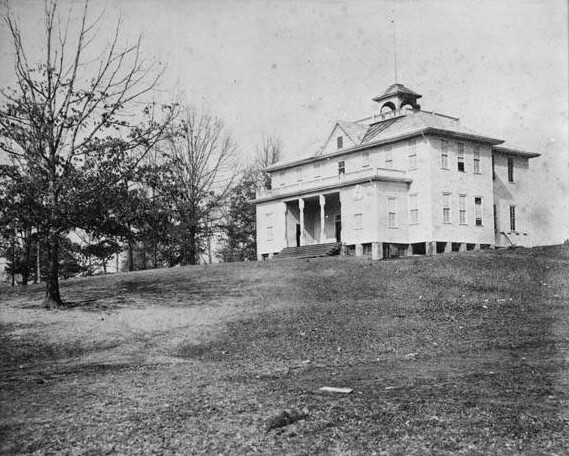 Five Spring School, south of Dalton, ca 1908. 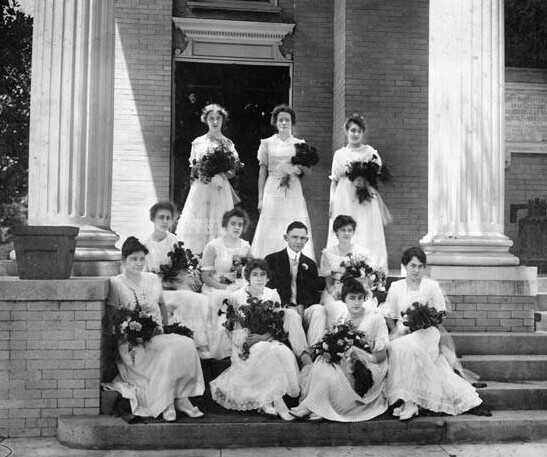 Courtesy of Vanishing Georgia, Georgia Archives, Office of Secretary of State. 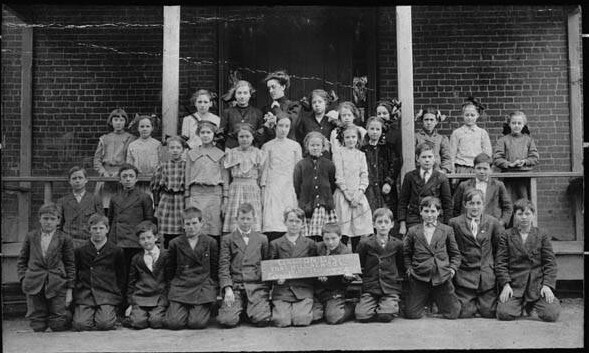 Teachers of Whitfield County, GA. July 16, 1909 taken in front of the Court House. 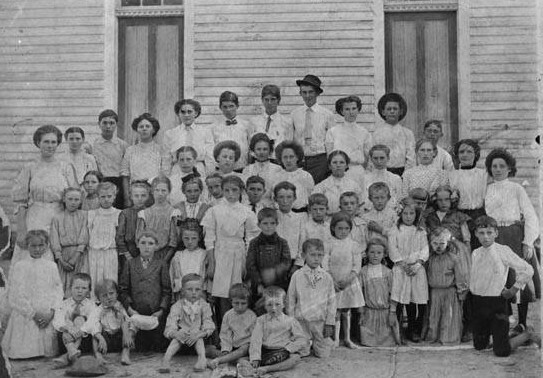 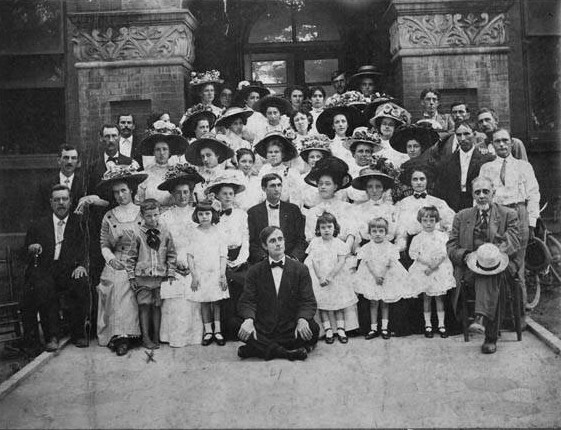 Students and teachers in front of Liberty Hall School, Tibbs Bridge Rd, ca 1912. 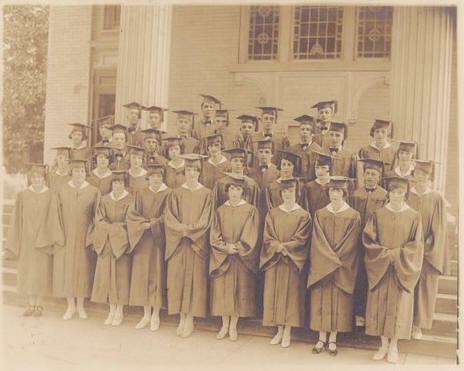 Dalton High School, members of graduating class, 1915 on steps of First Presbyterian Church on Selvedge St.
Students and teacher, Rocky Face School, 1931-2. 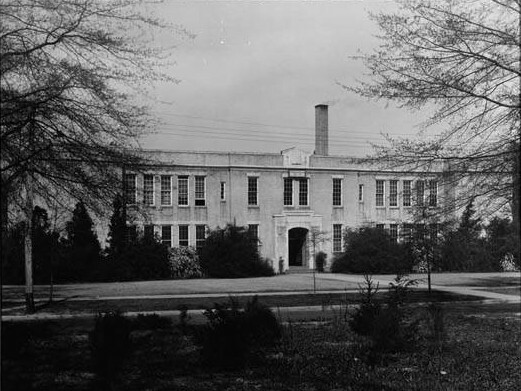 Dalton High School on Thornton Avenue, ca 1930s-1940s.